Whether the rain gutters on your Lexington, Kentucky, home are seamless or sectional, they protect your house from water damage by directing rainwater away from the property. 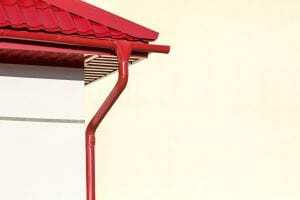 But the construction of seamless gutters means that they are likely to offer dramatically better protection. That’s why 31-W Insulation proudly offers seamless gutter systems made by Spectra Metals. We are a family-owned business with a commitment to complete customer satisfaction as reflected in our A+ rating with the Better Business Bureau. As providers of premier home improvement products and services to homeowners since 1972, we are one of the most experienced companies in the industry. Our installation team comprises only our factory-trained employees to ensure that our high standards of workmanship are maintained. And for added peace of mind in your investment, our seamless gutters come with a 20-year limited warranty. When you want rain gutters that you can depend on to protect your home year after year, no matter the season, contact 31-W Insulation. We are the home improvement company Lexington, KY, homeowners prefer.